Like the platypus and several other creatures we’ve looked at, aardvarks are considered “living fossils,” organisms which have changed little from the way they looked millions of years ago (around 20 million, in this case). 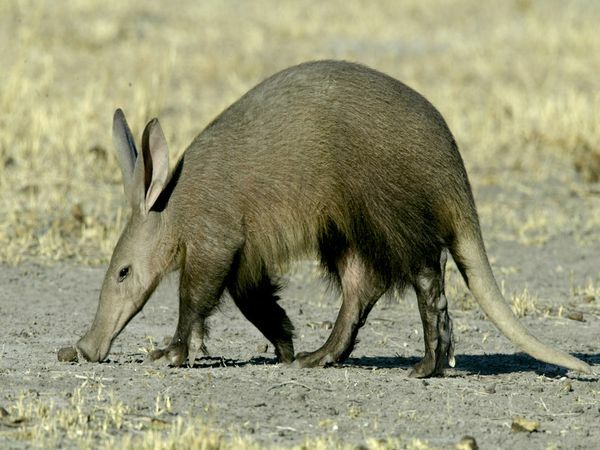 Aardvarks don’t look much like most mammals of today, other than a passing similarity to the South American anteater, to which it isn’t closely related. In fact, aardvarks aren’t particularly closely related to anything. 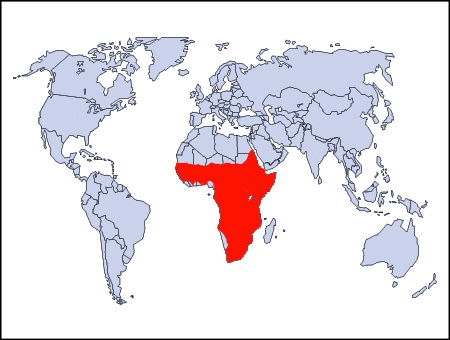 Not only are they the sole species in their genus, but they have their own family and order as well. This is because everything else that used to inhabit these ranks has since become extinct. At one time, there were at least 14 different species in the aardvark family, spread over parts of Africa, Europe, and Asia; but today, there’s just our friend the earthpig. Strangely, among the aardvark’s closest living relatives are manatees and elephants (all part of the motley superorder, Afrotheria), which suggests just what distant cousins they must be. 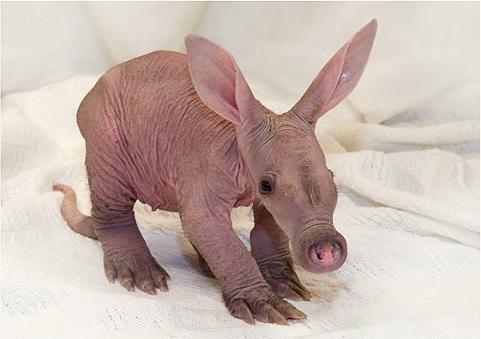 Clark the Aardvark, fresh from finishing his new ensuite bathroom with walk-in closet. 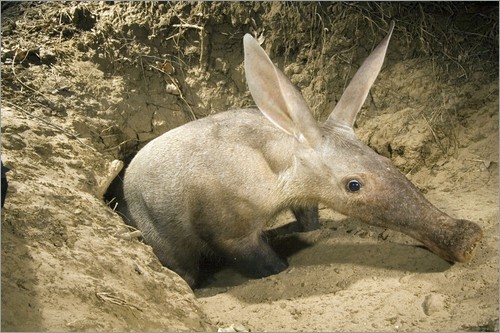 Moving further up, the aardvark’s narrow, elongated head and long, snake-like tongue are perfect for dipping into the minute passages made by ants and termites. They even have a special sticky saliva that adheres to ants at a touch. In a single night of feeding sessions lasting from five seconds to two minutes per stop, an aardvark can attack 200 hills, consuming as many as 50,000 insects. The ants and termites try to fight back, of course, but the aardvark has thick, tough skin and can seal its nostrils shut, making bites and stings ineffective. There’s just one feature of the aardvark that doesn’t make a lot of sense for its insect-eating lifestyle, and that’s a set of back teeth. (In fact, they’re are born with front teeth as well, but lose them at maturity.) No other myrmecophage on Earth has a functional set of teeth… you just don’t need ‘em to eat ants. So why do aardvarks have them? A little thing called the Aardvark Cucumber! In a bonus piece of evolutionary weirdness, aardvarks supplement their diet with a single type of fruit, a cucumber which has now become entirely reliant on hungry aardvarks for its continued existence. The plant flowers above ground – as plants do – but then pushes itself into the earth as it sets fruit, resulting in a subterranean fruit. These cucumbers are dug up by aardvarks and eaten as a source of moisture, while the seeds go undigested and are conveniently deposited elsewhere with a ready source of fertiliser for germination. Without the aardvark, seed dispersal would be impossible, and new plants would be unable to obtain enough water and nutrients to survive. So there you have the life of the lonely aardvark… enemy of the ants, saviour of the cucumber, brother to no one.